There is a place in all of us, a place without words. No thoughts, judgments or emotions…we just are. Observing ‘all there is’ we are a part of it all. Let us start the day in a space of knowing, giving and receiving simultaneously, in gratitude. I have always known this concept of being in oneness, but still get reminders of how easy it is for the days to knock us out of our special place. We never really leave this place, but we forget about it. A simple nudge, reminder or awe-inspired moment, returns us to this place. Recently I found myself in a circle of friends whom I have never met. We all came to the circle with personal baggage, but at the end of the night held hope that our burdens have lightened. Resisting to help another in this circle, allowing the others to process their own realities. In allowing, we are giving an ability for others to receive on a deeper level. Their own personal strength, joy and happiness become authentic and free. Self actualized we go about our days with a greater confidence, receiving a greater perspective. In this circle I saw much pain, many reasons about why we should fall into a place of ‘the masses.’ We are not bound by this conditioning, we are free to choose to do this or that. As our own healing begins emotions are shed, heat rises against us…purifying our souls. In a place of wetless waters, sweating without actually perspiring, speaking without actually speaking a word, listening without telling another to do, we are healed. Speaking to a friend, a new friend whom I had not yet met before, referring to me as the philosopher, he said “you are very philosophical.” What does that mean I thought for a moment, but then explained to him we are all philosophers, we are the philosophers stone. In our own healing, taking back our truths, we come to a place of knowing. Instilling our beliefs not through words but through our daily actions. We see things differently then the rest, we see them as the same. Seeing as one we infuse our beliefs into the greater whole of humanity, allowing others to heal around us. Inside the ‘philosophers stone’ lay laughter and awe. It resides in all of us, waiting for our reception of its call. We all have it, we all have the ability of this authenticity of being who we came here to be. No matter what happens around us, we hold onto to this special place. A place without authority…a place of no words. I am grateful for the friendly reminders of the day, circles I have sat in and those which are coming. For in these special spaces we are healed. As we heal others around us heal, reaching our families, communities…the world. Stepping into the Canvas with new vision. 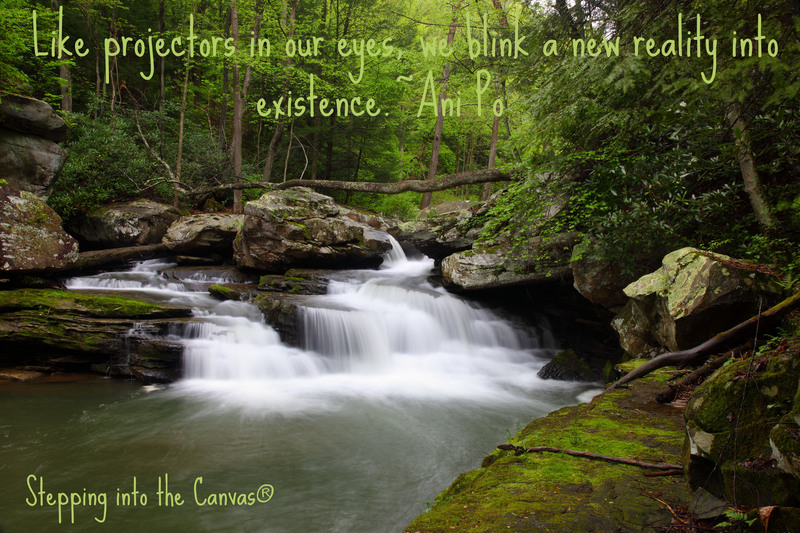 Like projectors in our eyes, we blink a new reality into existence. Through strength and Love, Love and strength, we go confidently into the world ‘wholly.’ No words spoken, nothing more to see…we merely experience with new sight of what possibilities await our step. With each new day we have a choice to live as authentically as we can, ignoring the beliefs of old or accept the conditioned consciousness, remaining forever lost. Stepping into the new, creating the life we were meant to…accepting beliefs of a new era. The first step towards happiness often proves most difficult, for we cannot let go of our old beliefs. Let go now…witness the shift towards happiness. Once the first step is taken the taste of freedom shall be your, never returning to what once was. The next step towards happiness is easier, the next even easier…and so on. This is an invitation to step out of the ordinary and into the extraordinary: Free to Love unconditionally; creating the life we were meant to enjoy; coming together as one. With every step towards our ending goal of happiness, we find ourselves having more sensational moments that can only be explained through synchronicity…or Syncrosensational. The willingness to change will be the first step and is the driving force behind our journey. Our intent is what sets things in motion, with checks and balances along the way, we stay on course. Depending on our thoughts and actions, will determine if we meet our end goal or miss our mark. Giving a little wiggle room to make mistakes, making necessary adjustments, we find our way back to the intentions set forth. Nobody is perfect and we all make mistakes…learn from them…aligning our actions as closely to our intended goal, will assure our success in attaining this goal. When our dreams and reality collide, it is said that we have found The Way to happiness. We may trip or stumble and, as stated before, that is ok. We must accept ourselves for being imperfectly perfect in all our encounters. In doing so, we inadvertently findacceptance for the imperfections within other people. Without acceptance the continuous judgment of self and others continues. If and when we do stumble, remain in gratitude. With gratitude in our hearts, we view challenging moments as stepping-stones towards syncrosensational moments we so clearly desire. Every day is a good time for sharing gratitude with a loved one, a friend or Creator of all existence. Whether the day is picture perfect or everything but, learn to see the silver-lining in every cloud…guaranteed it exists! With gratitude in our hearts, we master our emotions…checking them at the door before entering the canvas of life. This awareness is the single most important guidance system that we will continue to call upon along our journey. Thich Nhat Hahn often refers to this as being in the present moment. We are here, in a given moment, experiencing this emotion or that emotion. These emotions arise, but do not have to control us. Instead use them to our advantage only, if this is not possible…kindly ask emotions to take a back seat. There comes a time in our journey things just don’t feel right, almost as if we were off-balance. Finding balance becomes our number one priority. 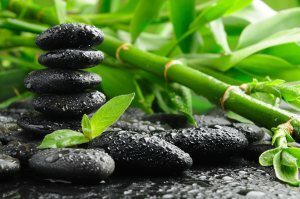 Through various techniques which can be found throughout our traditions or even modern-day self-help texts, we find techniques for cleansing mind, body and spirit…returning back to balance. Returning to balance, we find ease in checking our emotions at the door of the Canvas. Note: if we are not in harmony within ourselves, how can we support harmony within our families? get in balance so that you can better serve the loved ones around you. Practicing these steps, for the first time or daily practice, chances are they have created positive habits within the Canvas of Life. With positive shifts, we find ourselves at a place of unconditional Love. While the majority of society will declare unconditional Love is not possible, challenge them and say yes it is. Following this path, and other paths for that matter, with our whole heart and soul, and intention of finding peace within, we shall find unconditional Love. 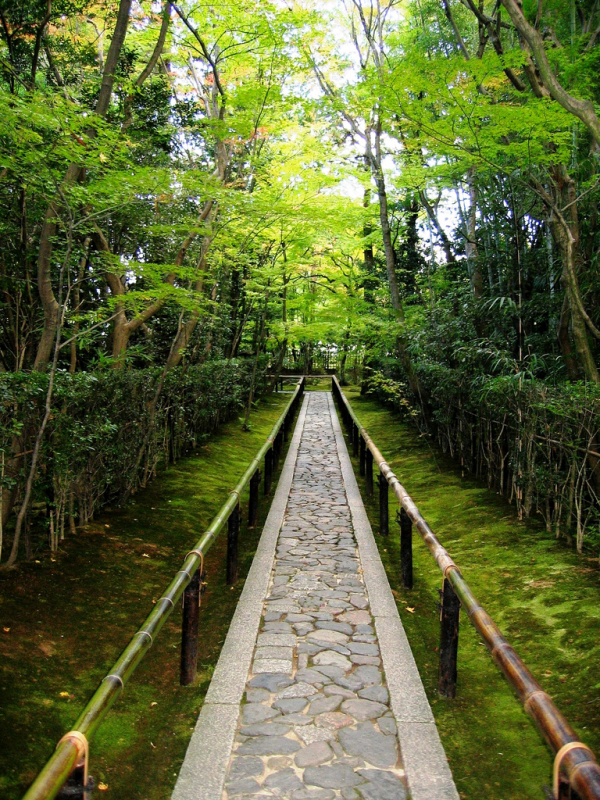 While the majority follows the path of majority, dare to cut a new path into the Canvas of Life…see what happens! We have just followed a modern-day Eightfold path. Twenty-five hundred years ago, Siddhartha Gautama dared to challenge authorities, showing others how to attain enlightenment. Nothing has changed from then to now and is open for exploration at any time…are you willing to take the necessary steps towards enlightenment? Why not? Traveling the eightfold path we will find ourselves at our ending goal…pure happiness. Our every encounter will be more enjoyable and our days will just seem to be syncrosensational…all the time. We shall be in awe by the mighty Canvas calling our name. Go now…live a life that was intended…live a syncrosensational life. Our actions and thoughts will dictate whether we stay on course or get derailed from our intended journey. The basic Law of Attraction states “our thoughts become things.” Be careful with the words we speak. If there is any doubt or contradictory words, the Law of Attraction will give us exactly what we speak. i.e. if our original intent is to find increase our financial worth but our contradicting thoughts are we do not deserve this, then the Universe will give us exactly more to doubt our reality of having an increase in financial worth. Also, our thoughts and actions need to be specific. We need to drill-down, like a laser guided missile hits its target, to the exact intentions we seek. If we are vague with goals, then the Universe may only give us partly what we want. i.e. We ask for love in our lives, but are faced with challenging times or person bringing us much anger in our lives. If we are not specific, the Universe may present events to teach us Love. Be specific and spell our exactly what it is we want. Through acceptance, we magnify the force behind our intentions. As we begin to accept all things and all people as they are, releasing the attached emotions, the Universe returns more to be accepting of. Further, and most importantly, as we accept ourselves for the imperfectly perfect being that we are, we begin to live as authentically as we were intended. Through self-acceptance we freely love ourselves, emitting this love out into the world around us. Whether perceived good or bad, any given situation is an opportunity to express our gratitude. Gratitude for the lesson, life and all there is. As we step out into the Canvas of Life, we are given a choice to either live in gratitude or forever live in misery. We have so much to be grateful for, why focus on anything but the gifts before us. Everything is a gift…everything! No matter the size, big or small, guaranteed there are opportunities of growth in which present themselves on a daily basis. Everything has a message and signs may appear at the most obscure times. Be open to them, be open to the process of change. My son and I were in a bookstore and he was unsure of what book he should get. He asked my opinion, but I told him to put them down for a minute and ask for guidance. The simple act of asking for guidance opens up more possibilities of Universe coming to our aid. As he walked back to the bookshelf, one of them fell to his feet. At that very moment…he knew the answer. Whether it is simple purging of material things or a deeper sense of cleansing the soul, we all must learn to cleanse our thoughts, purifying the pathway set before us. Through a daily practice and the awareness of, we have the ability to cleanse our soul on a moment by moment basis or grandeur level. 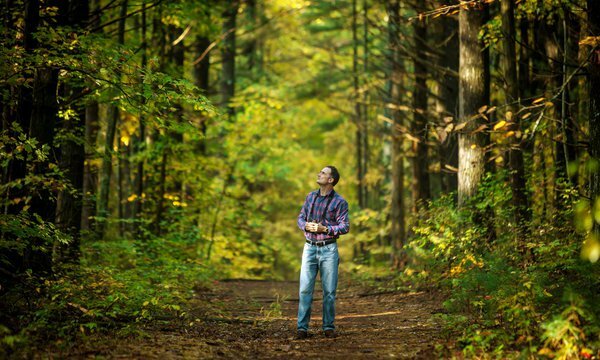 Taking a retreat can be beneficial to the soul. Similarly a daily journal allows us to keep track of our actions and progress with our set intentions. Our emotions will trip us each and every time. 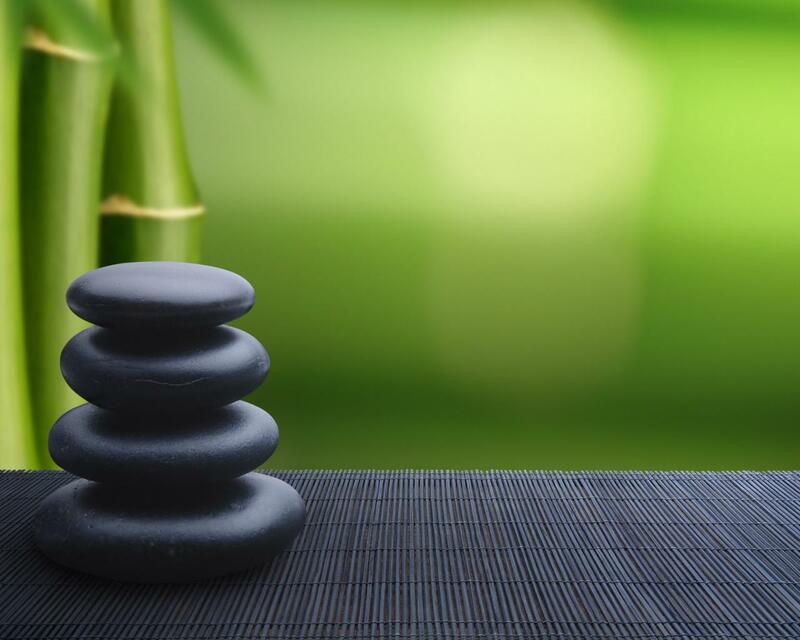 Remove the emotion, applying awareness and making effortless decisions along the way. Simply be aware of our surroundings, our actions and how people interact in the Canvas of Life…it is meant to be effortless. If we skipped the other seven steps and come to a place of Love, we will have enough in our lives to live harmoniously for all eternity. For those who find this immediately, congratulations! For those who only know what they know…it may be necessary to travel this path. Releasing the past, looking to the future, we are left giving more of ourselves in the present moment. Giving freely, we receive more to give away. In gratitude it is amplified exponentially. Stepping into the Canvas with Love. In Love we intertwine our steps, potentially skipping the eightfold path. In Love all other things become details, details that have lessened meaning. In Love all things are important and carry equal value or lessons. Make the steps…but do so wholeheartedly. Step in Love and assuredly each step will be Syncrosensational.